There is an urgent need for traditional industries to work with external partner firms to understand the changes happening within and without their industry. Utilities, real estate firms etc. need a partner firm that understands trends and how these trends strategically impact their industries. These partner firms can, consequently, help these companies develop new business models. That company is You. That partner is ASHA LABS. We provide custom reports to companies like Comed, E&Y etc. Experts in trendwatching, designing and developing technology strategy for a world and the new customers it serves. Strategic Narratives: we develop future scenarios (futurecasting) and implementation plans for utilities to ensure relevance. 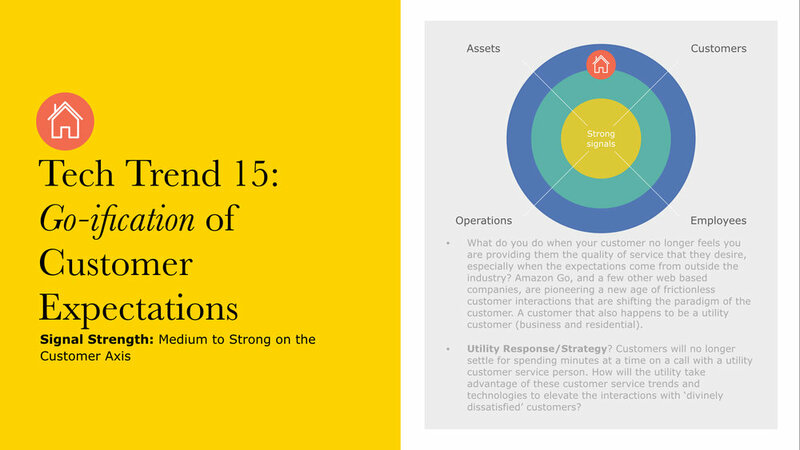 Consider us the love child of Morningstar and IDEO... sample page from a report shown below. Click here for generic reports or email seyi@asha-labs.com for custom reports. You know you want to (you actually need to).